Your brain has an Executive Function. Executive function is the scientific term for our ability to organize activity, learn from past experiences, make plans, solve problems and work puzzles. Among the areas in the brain involved in executive function are the medial frontal cortex and the lateral prefrontal cortex. Robert M.G. Reinhart PhD and Assistant Professor of Psychology at Boston University notes that those two areas control most of the executive function. He calls these areas “the alarm bell of the brain”. Reinhart is the Director of the Visual Cognitive Neuroscience at Boston University and, among other area of brain research, has been studying ways to employ electrical stimulation to improve performance in learning and self-control. Kimberly Luu, currently doing graduate studies at the University of Waterloo School of Public Health, and Peter A. Hall, PhD Clinical Psychology and Director of the Prevention Neuroscience Lab, also at Waterloo, assessed the effect of yoga and mindfulness on both mood and executive function. 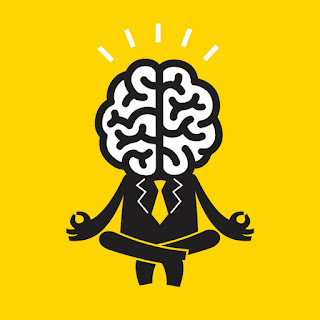 Their research indicated that sessions of yoga and mindfulness meditation resulted in more positive moods and in improved executive function. The scientific research supporting the beneficial effect of exercise- in this case yoga-and meditation- on a healthy brain continues to mount. If you haven’t practiced meditation but are curious about it, we offer two excellent books on the topic. While completely appropriate for the beginner, there are plenty of topics of interest for the experienced practitioner. As always, before we recommend anything here, we try it ourselves. I refer to these books regularly myself. Oh, and we have some very cool puzzles. Show your inner Executive some love; let’s get it promoted to a Senior Executive.